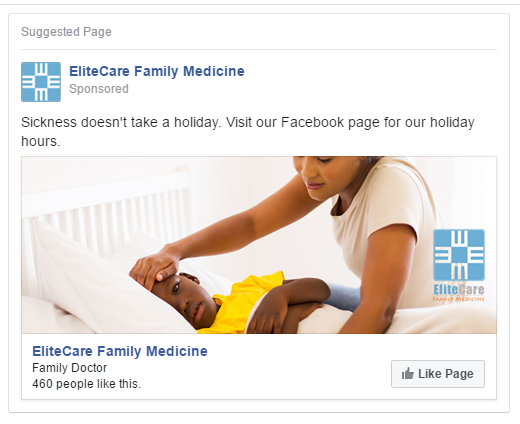 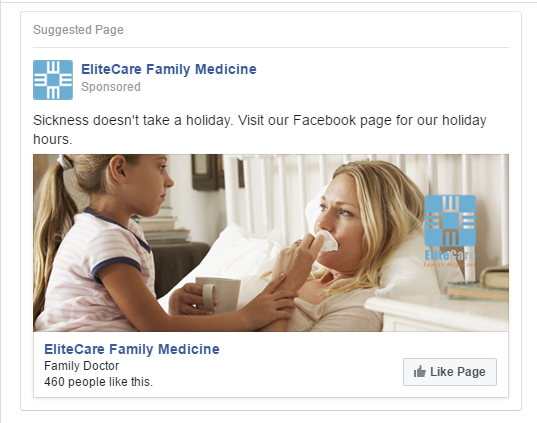 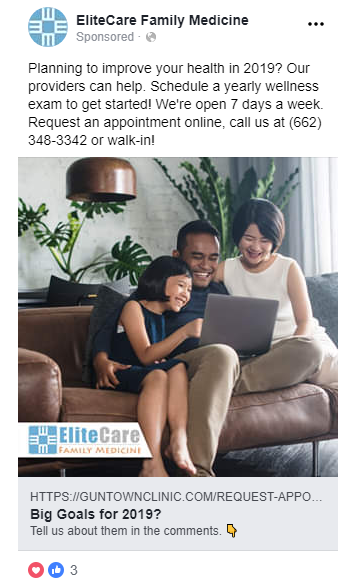 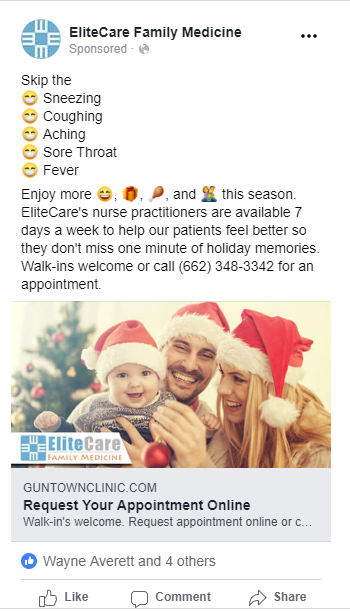 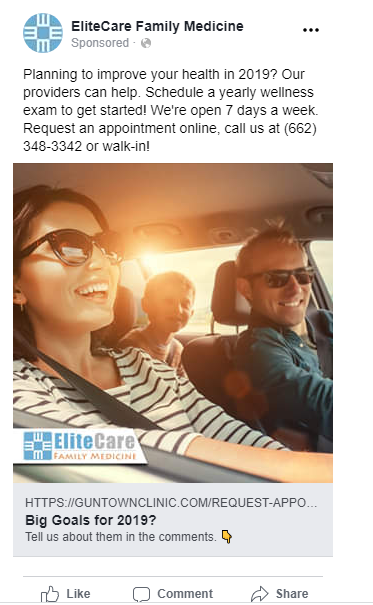 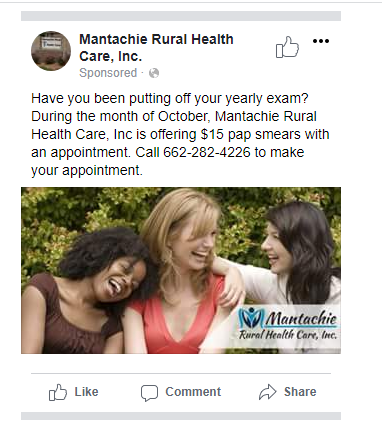 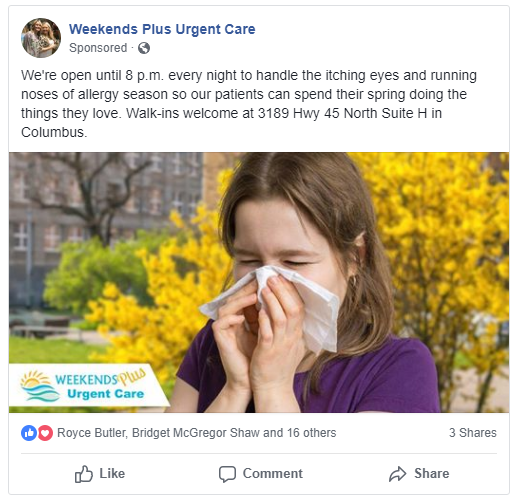 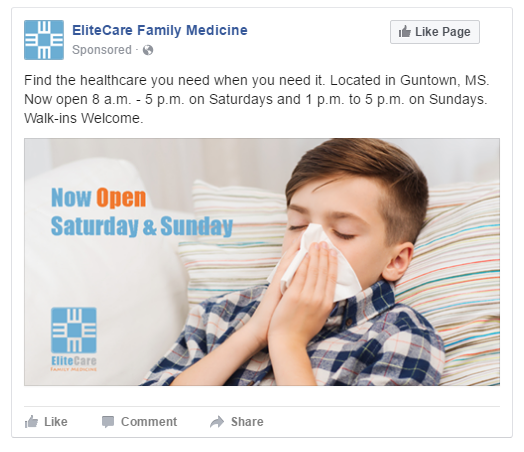 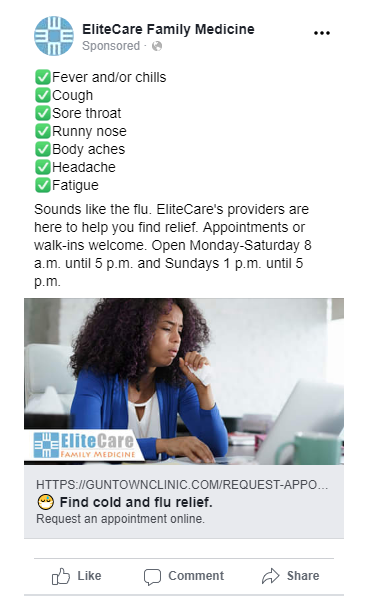 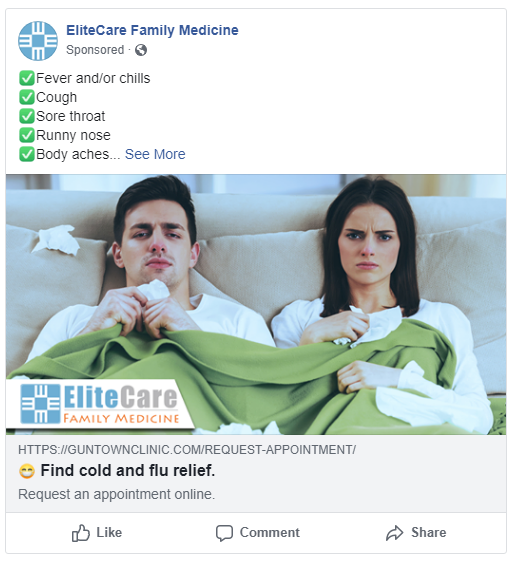 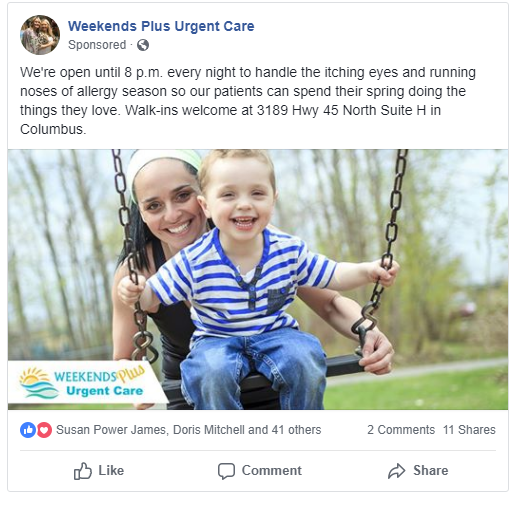 In order to increase visits to a local medical clinic on specific days, Momentum Consulting tested various images and content against specific demographics to determine which combination increased engagement and ultimately clinic visits the most. 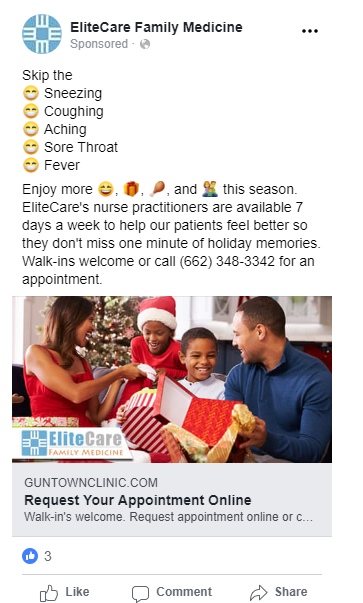 The agency also optimized the ads for times and dates they would run. 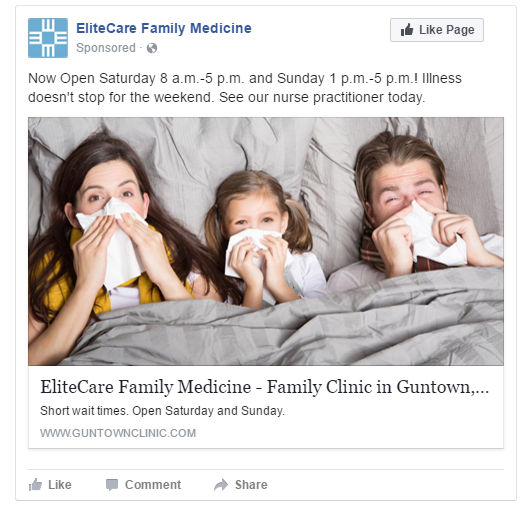 The clinic reported an increase in visits during the times targeted.